A chance to take in the breathtaking views of the Sandton Skyline and get a birdie on the card. The tee shot should favour the right hand side of the fairway however beware of the well positioned fairway bunkers. 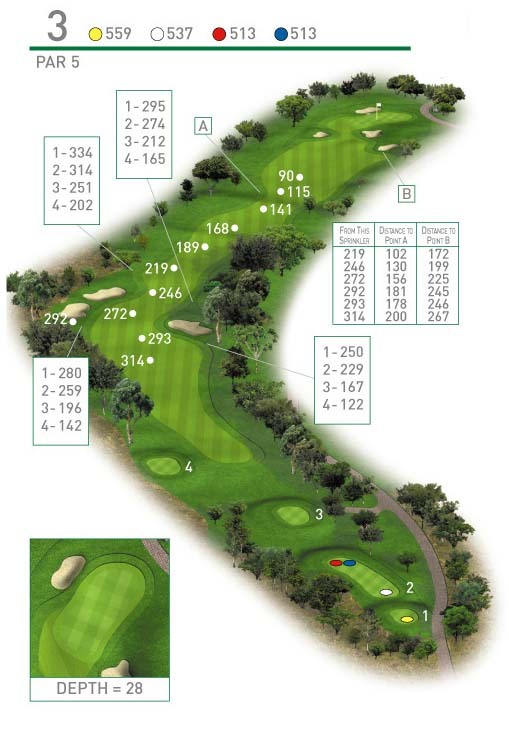 Lay up to your favourite distance or attack the green in two taking on the bunkers just short of the green.